Before Solana Beach was even a city, eight women joined forces to not only successfully save its library, but to also find it a bigger and better home. 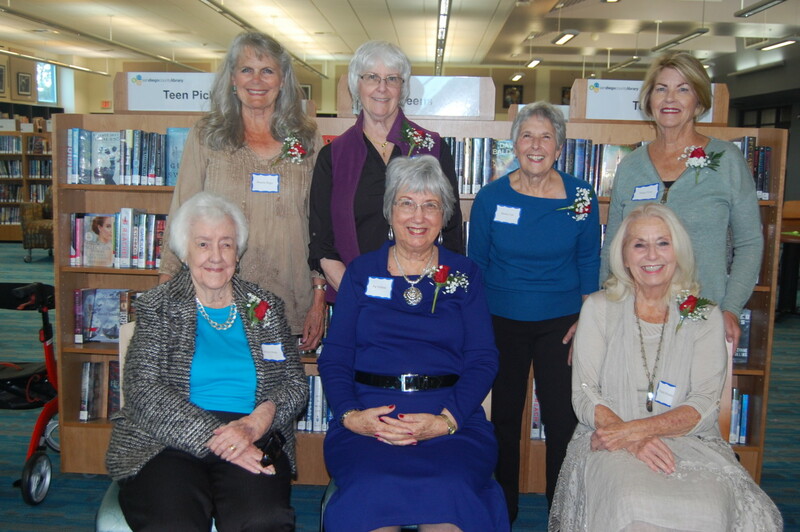 All but one of the founding members of the Friends of the Solana Beach Library reunited March 20 to celebrate the organization’s 35th anniversary and their efforts to eventually secure the facility’s current location adjacent to Earl Warren Middle School. On hand were Bonnie Biggs, Sheila Cole, Paula Henderson, Laura Mitchell, Celine Olson, Marge Petre and Pat Vollman. Mandi Schmid was unable to attend. According to a historical account on the group’s website, the Solana Beach County Library opened in June 1925 in Ira Earl Conner’s grocery store. Through the years it was housed in various locations in stores and homes and along Coast Highway 101. “We found out the county was going to close it because of the budget,” Cole said, adding that the librarian at the time, Bonnie Buchanan (who later became Bonnie Biggs), suggested they form a Friends of the Library group. Pat Vollman was selected as the first president. 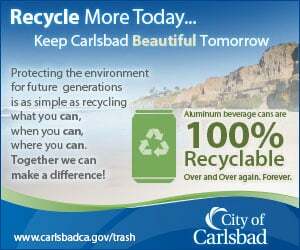 One of the organization’s first missions was to lobby for funds from the County Board of Supervisors. Thanks to their efforts, the library moved to a 3,800-square-foot space in the Lomas Santa Fe Shopping Center in late 1983. The women continued working to secure a more prominent location. After Solana Beach achieved cityhood in 1986, then-council members Joe Kellejian and Marion Dodson worked with the group to organize the community toward that goal. Funding was obtained from the city, state, county and school district, as well as “book sales in the parking lot,” Cole said. The shared-use facility in its current location was dedicated in June 2001. The Friends of the Solana Beach Library continue their efforts to support the facility to encourage literacy, lifelong learning and a love of reading. They also fundraise to provide college scholarships to area high school students and community events and classes — because it’s not all about books anymore. Vickie Driver, who has served as president since 2016, said the group brings in Zumba and tai chi classes and other health-oriented programs. Many community functions are held in The Cove, a multipurpose room that recently underwent a renovation as part of the rebuild of Earl Warren Middle School. “Our group is still advocating for the community and the library to better meet the needs of everyone here,” Driver said. The organization has about 200 members. Money comes from the annual membership drive, book sales and other fundraisers.